Are you thinking about a relocation to Pickering? It’s one of the nicest communities in all of Canada! And if you’re tired of the busy big-city life, this may be just the ticket you’re looking for! A more comfortable life pace, and a closer-knit community than you can find in any city in Canada. If all of that sounds neat to you, then this place may be a dream come true for you! And if you do decide on hiring movers Pickering, you know who to contact! High Level Movers Toronto will be more than ready to lend you a hand! Is Pickering the right fit for me? Wherever you’re thinking about moving, it’s important to think long and hard about your choice. If you’ve started planning your relocation, by now you’ve probably realized it isn’t cheap and effortless. That’s why you definitely want to get it right the first time, and not have to move again a few months down the line. So, for starters – what kind of town is Pickering exactly? Will you fit in there? First of all, you should know that Pickering offers the quintessential small town experience. You’d be hard-pressed to find a cozier community in all of Canada. The town is simply filled with interesting history, with the earliest settlements in the region being a few centuries old. But it isn’t just a tourist attraction for history lovers either! This town has a lot more to offer to those with a more practical mindset. In fact, many people look for movers Pickering because of job opportunities! The town is home to many manufacturing companies, who employ a large number of locals. So don’t expect to be out of a job if you decide to move to Pickering! And on top of all that – it’s really near to Toronto. With Pickering, you can have a small-town life, but always remain close to urban events and job opportunities! Should I hire a moving company at all? Have you definitely decided on moving to Pickering? That’s fantastic! And now that the decision has been made, you can move onto the practical bits of your relocation. So, first of all – how do you intend to do it? On one hand, you can hire some movers Pickering to help you out with the move. And on the other, you can try to do it on your own. Now, obviously, we’re arguing that hiring a moving company is a much better idea. Why? Because the only sound argument against doing so is saving money. But in the long run, not hiring movers may cost you more than you’d think. Indeed, experienced, reliable movers such as those at High Lever Movers Toronto are much less likely to make mistakes during the relocation. And any mistake is costly! That’s why hiring movers Pickering right away may even end up saving you money. So what are you waiting for? Is High Level Movers Toronto the right choice? Are you looking for an experienced, reliable and affordable moving agency to help with your Pickering move? Then you are definitely in the right place! Why? Because the movers Pickering that we at High Level Movers Toronto employ have extensive experience with all types of Toronto moves. With us, you don’t have to worry about a single thing during your relocation. Just leave everything in the hands of professionals, and relax! Our high-level professional staff will move anything you need using the very best equipment. We’ve got an extensive set of moving services, but that’s not all. We will be happy to tailor-make an offer to suit all of your moving needs. Let us make your upcoming relocation as easy and stress-free as it can be. When you’re choosing a moving company, you want to make sure you’re dealing with the best on the market. And High Level Movers Toronto is precisely that – so call us up, and we’ll make sure everything goes smoothly. What do our movers Pickering offer? The moving business has truly become more and more popular during the past few years. Because of this, the moving industry has been booming in all of North America – and Toronto is no different! Indeed, there are many movers out there on the Toronto market, but not all of them can guarantee quality. And especially considering the challenges that moving agencies face every day. If you are moving, you can be sure of one thing – whatever you might need – we can do it. And there are many testimonials from our clients that can prove that. So keep reading to find out everything you need to know about our services. Changing the place of your residence is never easy. There are many things to consider and figure out. First, there is the challenge of finding a new home. Not only it is hard to choose among the vast pool of real estate options, but you basically need a small fortune as well. And once you successfully complete that task, you need to ensure that your precious belongings will be safely relocated. Don’t worry though – that’s something we’re more than happy to help you with. Because that is exactly where out professional movers Pickering can make your life easier. As one of the best residential movers in Toronto, we will transfer all of your items with carefulness and caution. Our Movers Pickering will meet all your requirements. As we’ve mentioned – moving is not an easy or cheap project. It is important to realize how much the choice of movers can affect your relocation. In fact, a single mistake can cost you a lot of money and nerves as well. That is why you need to choose smartly. Have in mind that you have so many other things to think of, and safety of your belongings shouldn’t be the on that list. You should delegate that task to professionals who have much experience in dealing with it. And that’s just what we at High Level Movers Toronto are offering. Our movers Pickering will guarantee for the safety of your items during the entire relocation. You should know that we’re prepared for all kinds of moving services. But when you’re running a moving business, it’s important not to forget the basics of your job. For example – local moving is really the most common type of relocation. You’re moving just a few blocks away, or to a different part of the same city. Many moving companies treat this as a piece of cake, an easy job. But no relocation should be underestimated. To us at High Level Movers Toronto, all moving jobs are equally serious. And that’s why our movers Pickering are among the best local movers Toronto offers. We did it so many times, and we’ll do it in the future the same way – fast, with quality, and safe. If you have any questions regarding this type of moving, our professional agents will gladly answer them all. So don’t hesitate for a second to contact us about your relocation! Small relocations aren’t the only thing we’re good at – not by a long shot. On the other hand, long distance moves are pretty different from any of the other types of relocation. And that’s for a good reason. Why? Because this is a moving job that requires a lot of stamina, professionalism, and perseverance. Bear in mind, this isn’t just driving down the block. This type of move implies driving hundreds of miles, sometimes even a couple of days. During that time all items in the truck must be secured. 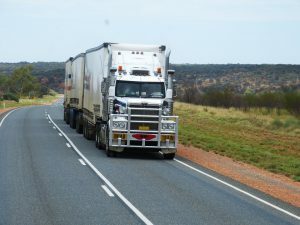 Our professional truck drivers are in charge of that task, as they have thousands of miles under their wheels. We’ve handled long relocations more times than we can count, and we know the roads of Canada well enough to handle anything you’ve got So if you are about to have a fresh start somewhere far away, make sure you hire only the best long distance movers from Toronto. Do not leave anything to chance, and don’t think you should settle for less than the best! Nowadays, almost every business is expanding. As a matter of fact, it was never easier to start a successful project in any part of the country. And this flux means there are a lot of companies moving around the country. Some companies are opening new offices, other are relocating their entire business to a different city. With the economy getting better, everyone is thinking about whether they can do better. Whichever might be the case, this is something you don’t want to leave to amateurs. Let us give you a few tips for hiring office movers: for a commercial relocation, you’ll want to use a reliable moving company. You’ll need people you can truly trust with your business. But, finding good commercial movers can be tricky. Relocating business equipment also carries certain risks. Even the smallest dent or a scratch can cost you a lot. Not to mention that damaging this equipment can mean delaying the start of business and huge losses. With this in mind, you need to do everything in order to prevent such development of events. With commercial moving services our Pickering movers offer, you can be sure that every item will be safe. Our highly trained professionals will handle even the most delicate pieces of your business equipment. We will handle your business as carefully and professionally as we handle our own. High Level Movers Toronto is a company you can trust when it comes to high-value relocations. And additionally, we are aware that unplanned redistribution of your equipment can affect productivity. That’s why we put great stock in efficiency. With this in mind, our moving experts will help you to utilize every single corner of your new working space. Extra storage space has become an everyday need for many people. Why? Because relocations aren’t easy to plan out perfectly. In fact, there’s nothing we see more often than someone underestimating how much space they’ll need for their belongings. And even worse – it happens right smack dab in the middle of your relocation! Now you’ve got to figure out what to do with the extra things – definitely not an easy problem. But don’t worry – with High Level Movers Toronto, all of your relocation problems will go away like a breeze! We offer the top-notch storage service that will fit everyone’s needs. Small, big, wide, narrow, regular or specialized – all you have to do is to choose. And it’s not just a variety of options – it’s also the safety we offer. Security of every unit is very important to us, hence everything is under constant and vigilant surveillance. Additionally, our guards are checking every person entering the area in order to prevent unauthorized access. Your belongings will be the safest with our storage service in Toronto. 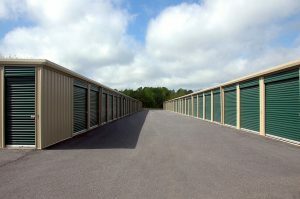 In addition, every storage unit has an insurance policy. That means that in case of any unpredictable case of events, you can be sure that any occurred damage will be fully compensated. This is just one of the many ways we make sure our clients are completely satisfied. We don’t just want to help you find a place for your things – we want you to be relaxed knowing that they’re with us. While you’re choosing the company with the best movers Pickering, you’ll see that it’s not an easy decision. With many Canadian movers offering a basically identical set of services, seeing the difference isn’t easy. But thinking that everybody in the moving business is the same is like comparing a garage band to the Rolling Stones! While a lot of people may be performing similar tasks for you, it’s really important to discern who’s the best, and hire them. And that’s precisely what we are – the best. Here at High Level Movers Toronto, we’ve got the combined knowledge and experience that you need for a successful relocation. Our movers know Ontario and Canada as well as a cab driver knows Toronto – so you know you’re in safe hands with us. When you call us, you know you’ll be getting the most reliable Toronto moving estimates. So what are you waiting for? Contact us, and see what true moving professionals look like. And what exactly does it mean to be a real professional in this business? Well, over the years, we’d like to think we’ve achieved that golden standard – and our customers tend to agree! Over the years, we’ve become the most affordable Toronto experts for small moves and big relocations alike! And how do you think we’ve managed that? Well, in short – we’re always willing to do more than our competitors. We see what the best in our business are doing – and then we surpass them and go the extra mile. Our movers Pickering aren’t just out there to ship boxes. We know that we’re out there primarily to help people make a significant change in their daily routine. So what does this mean in practice, in the day-to-day job performance? This means the great people working for High Level Movers Toronto are constantly ready to do amazing work providing our moving services. They are dedicated to what they do, and their hard-working attitude helps to complete every relocation successfully. In short, our movers are perfectionists. They are punctual, and they don’t rest until the job is done. We appreciate every chance someone gives us to help them relocate to a new home and a new life! So contact us no matter what you need! Moving can be a tough process – that’s why we know you’re looking for people who can get it done well, but fast. And that isn’t a balance that any moving company can achieve – but High Level Movers Toronto isn’t just anyone! As you may have realized, we don’t allow anyone to work with us. Our training program for new movers gives us the guarantee that our household name is presented by the best professionals around! The movers that carry our name do their job with the elegance of a symphony orchestra, coupled with the efficiency of a trusty machine. We offer you one simple, but an amazing thing – a relocation that’s fast, but also of the highest quality! And at the best prices too! So when you call up High Levels Movers Toronto, you know you’re hiring reliable and cheap movers. 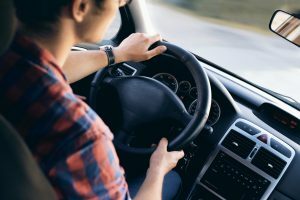 While there are many people out there who can perform a speedy relocation – how many can truly say they can also do it safely? Here at High Level Movers Toronto, we trust that you will value our many safety precautions that ensure a stress-free move. Our movers Pickering will do everything to make sure neither you nor your items are at risk at any time! We find that many businesses these days find it hard connecting with their customers. And why is that? Well, we believe that our long experience in a service industry has given us some insights on this. We believe we’ve got the answer right here. In short, they’re connecting badly because they don’t really care. And this is especially true of a business that gets larger and larger over time. As you become more successful and gain more clients, it’s easy to start viewing them as just numbers. And that’s where almost everyone goes wrong. But here at High Level Movers Toronto, we’ve vowed never to make that mistake – from day one! Since the founding of our company, we’ve put great stock into the way we treat our customers. It’s not just altruistic, human motives we’ve got in mind – as with everything else, we’re efficient and practical. And that’s precisely why you can trust us! It’s in our best interest to have satisfied customers because word-of-mouth is the most effective marketing! And with that in mind, we treat our customers with the loyalty, love and respect we would treat any of our friends or family members with. You are extremely important to us, as is your complete satisfaction with your relocation. As we’ve established, our team of movers from Pickering puts the client in the first place. Our customer agents are at your disposal 24/7, waiting to answer all your questions and help you with your moving. They will guide you through every step and give you necessary inputs regarding your upcoming relocation. Contact us today, and get a tailor-made offer that will suit all your needs. The highest level of quality and the best prices are guaranteed here at High Level Movers Toronto – with us, you can rest easy!